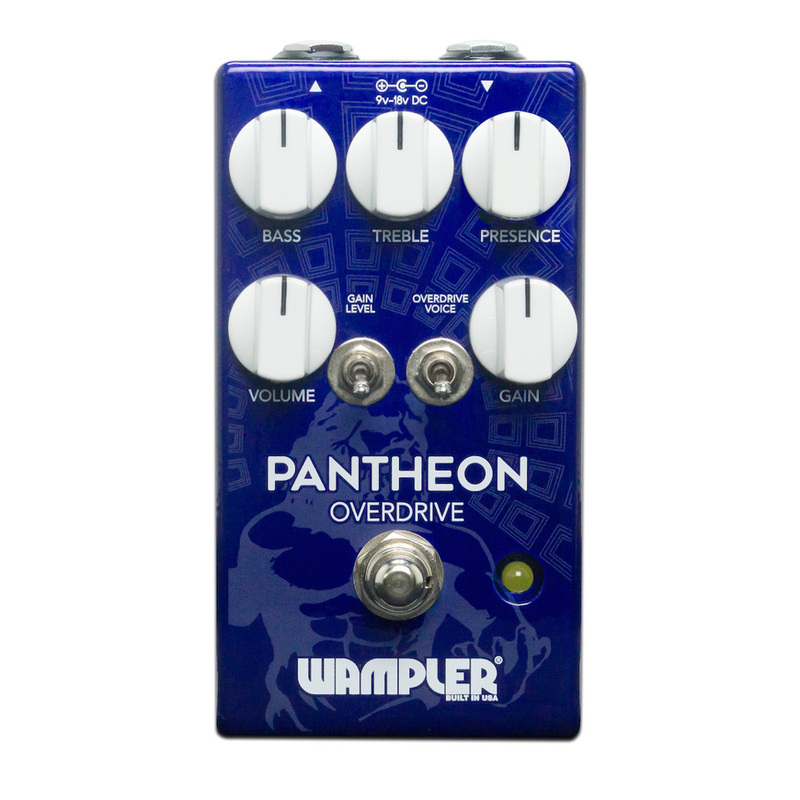 The Wampler Pantheon Overdrive Pedal was inspired by the long discontinued and sought after Marshall Bluesbreaker pedal, building on its famed transparent overdrive but with modern features and expanded functionality. The reason the original BluesBreaker circuit is so legendary, and why so many other pedals have been modelled after it, has to do with the way it introduces harmonics and grit into your tone without altering its natural sound or drowning the player's touch in needless extra compression or grit. 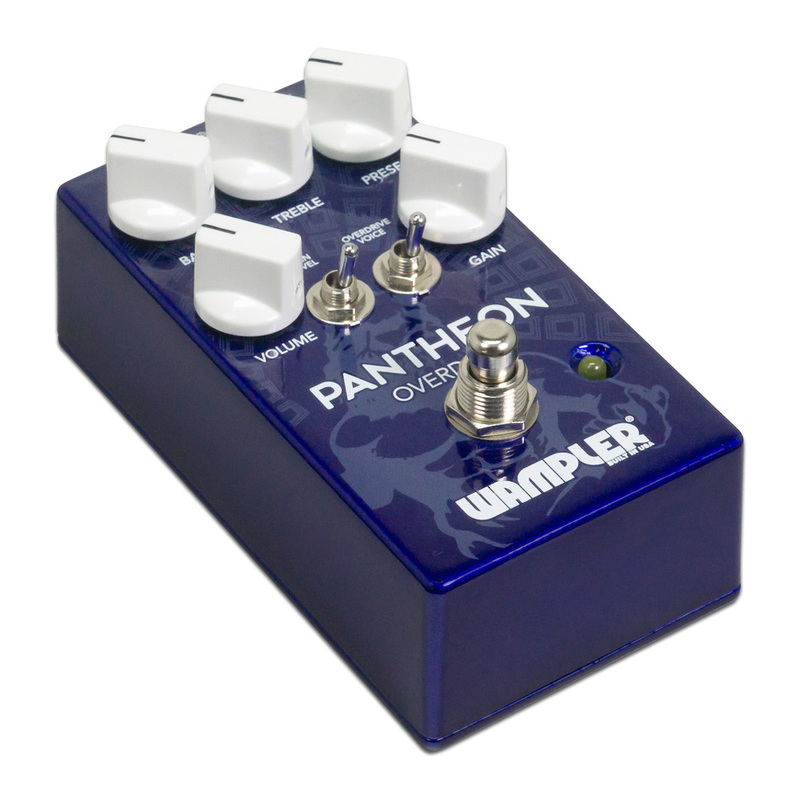 The Pantheon expands on the original with extra tone controls and gain ranges. 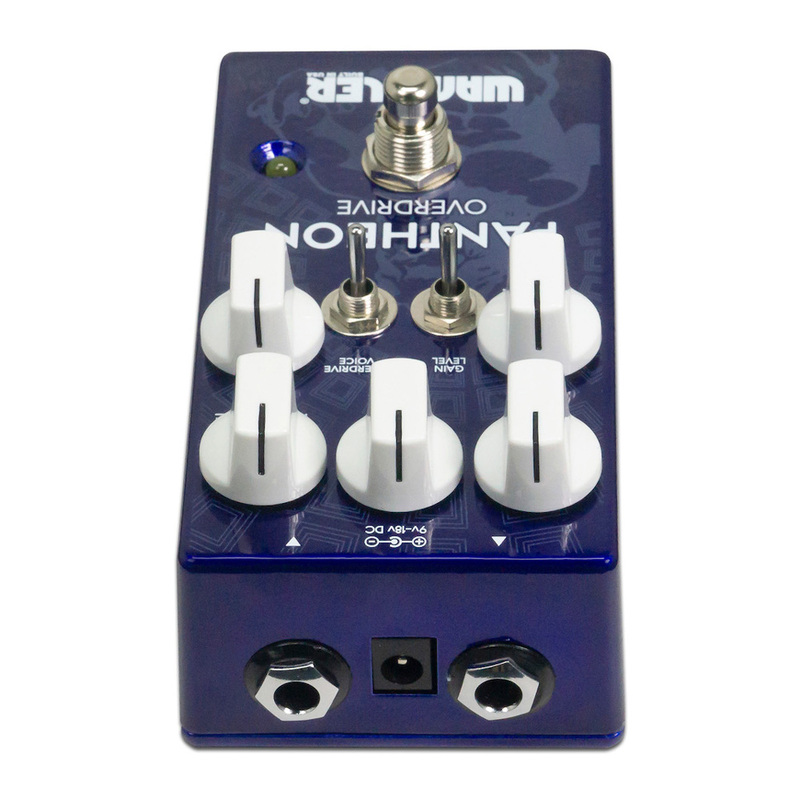 There is a gain level switch that selects between low, medium and high gain and an overdrive voice switch that selects between soft clipping, hard clipping or a mix of both, the gain control knob allows you to adjust the amount of gain produced by all of these settings. 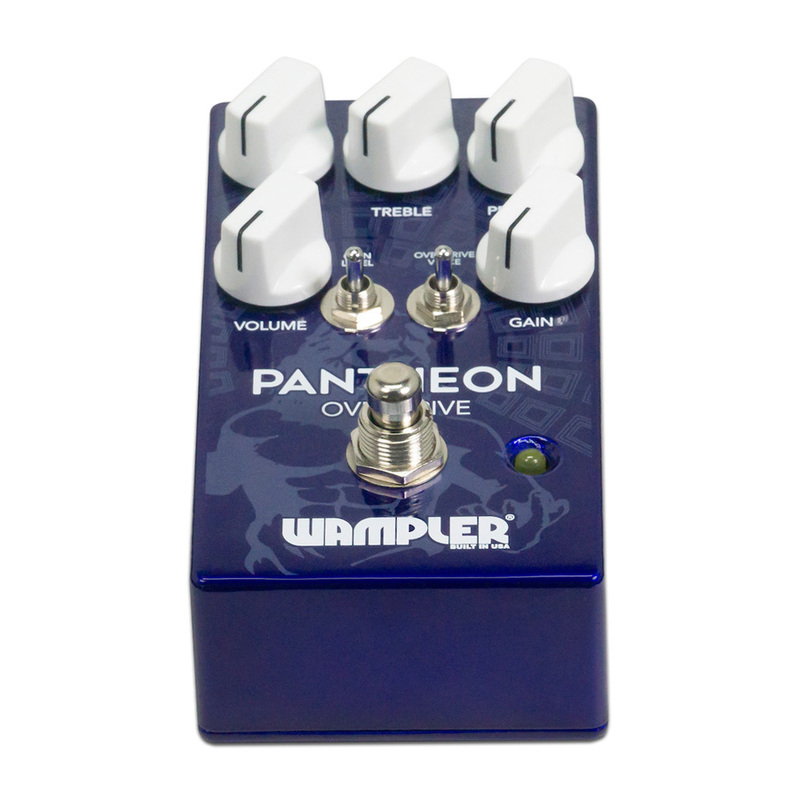 The active bass control is neutral at noon but boasts an extremely powerful sweep as you move through the range, and in addition to the standard tone control there is also a presence control for adding just the right amount of top end chime and sparkle to fit your different guitars and output devices. 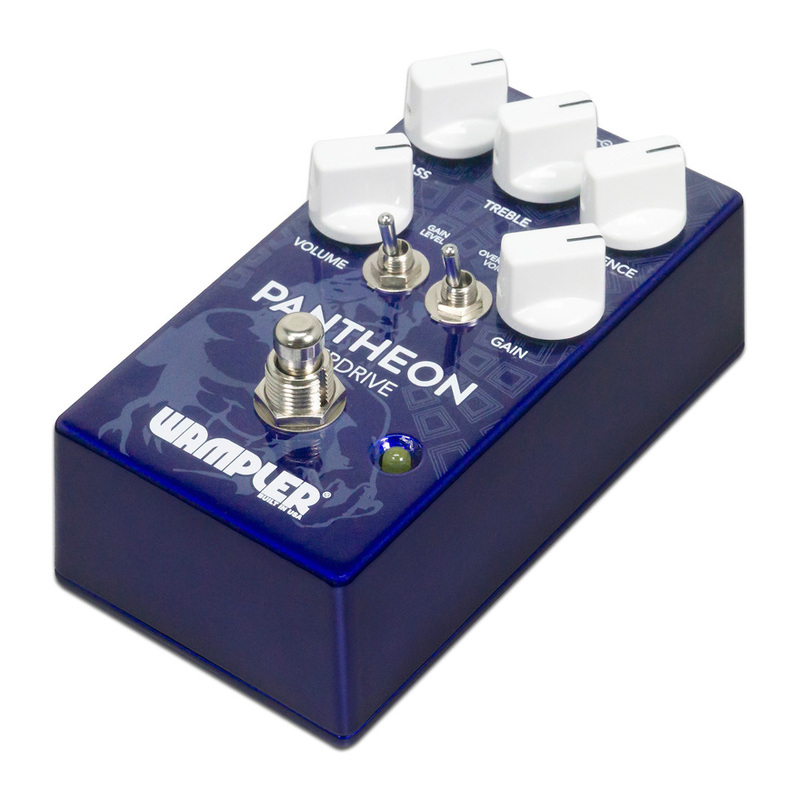 Delivering everything from sweet and creamy push to cranked British overdrive and stacking well with other pedals, the Wampler Pantheon offers maximum tonal versatility while retaining all the personality and feel of your playing.